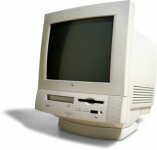 The Power Macintosh 5000 was a series of all-in-one machines powered by PowerPC 603 and produced between 1995 and 1998. 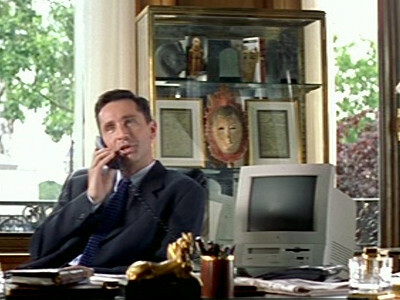 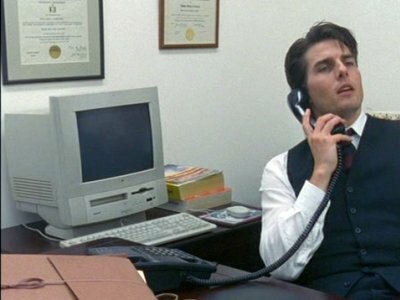 Bill has a Power Macintosh 5000 series machine on the desk at his office. 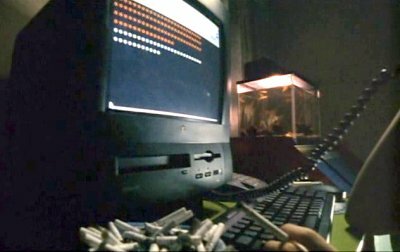 The Bat uses her black Power Macintosh 5500 to investigate a strange website that appears to tally the suicides before anyone else knows they have happened.